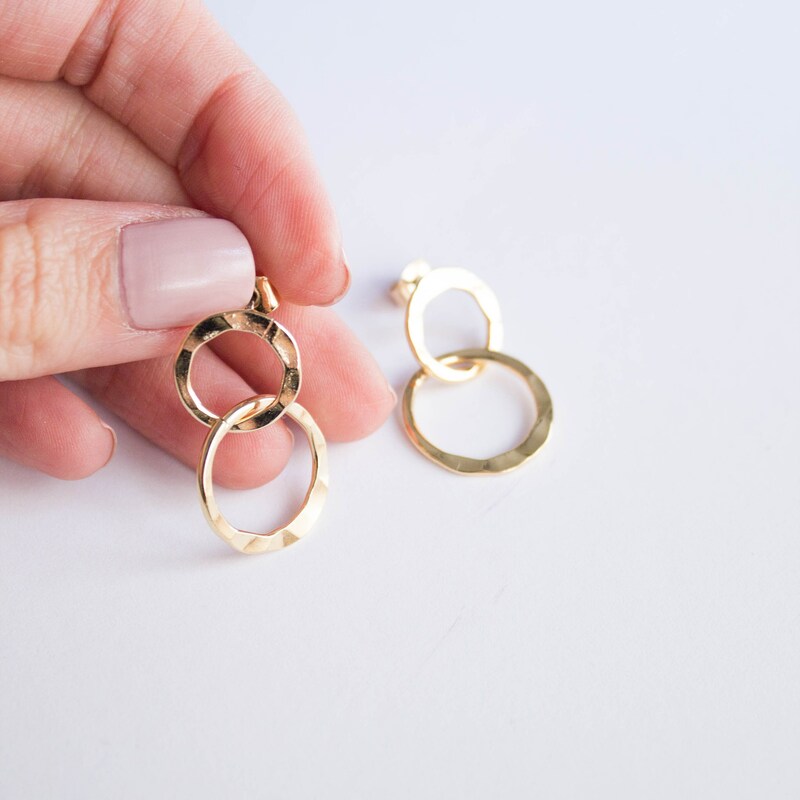 A ring within a ring, it's an earring inception. 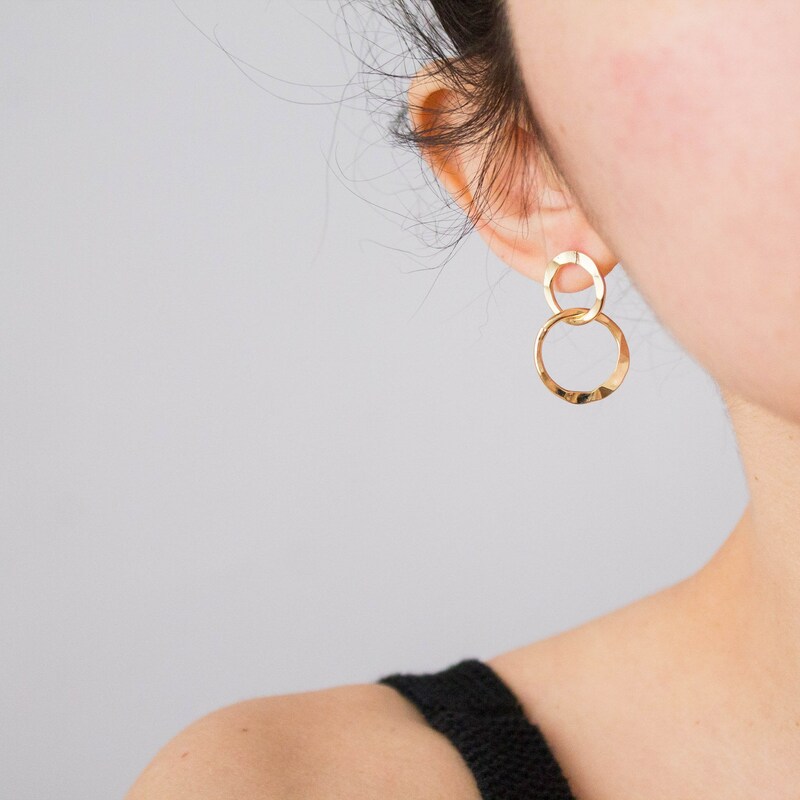 Inspired by Saturn's ring. 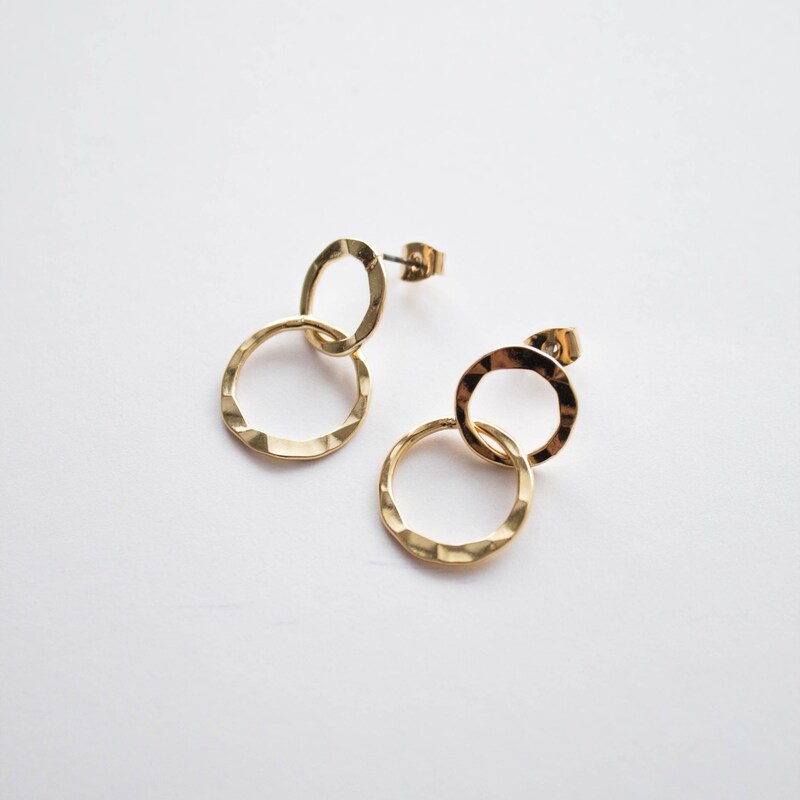 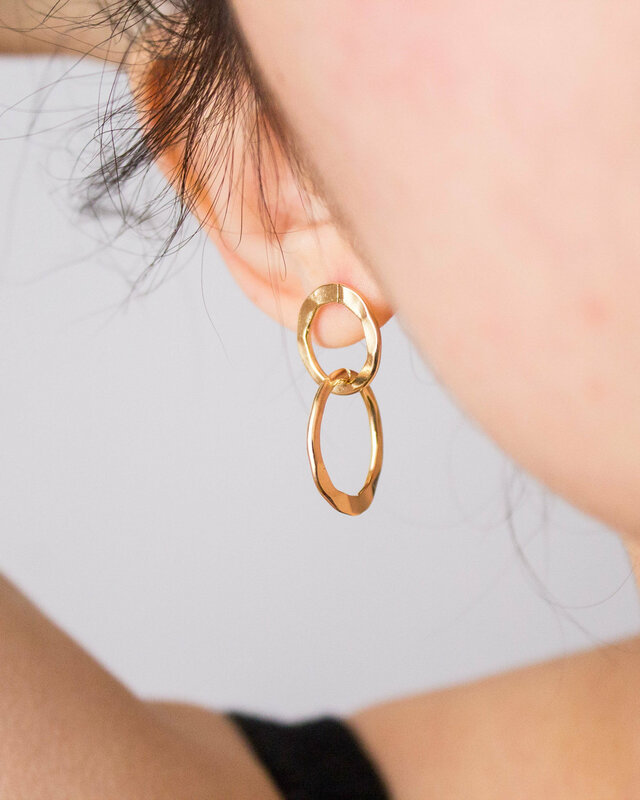 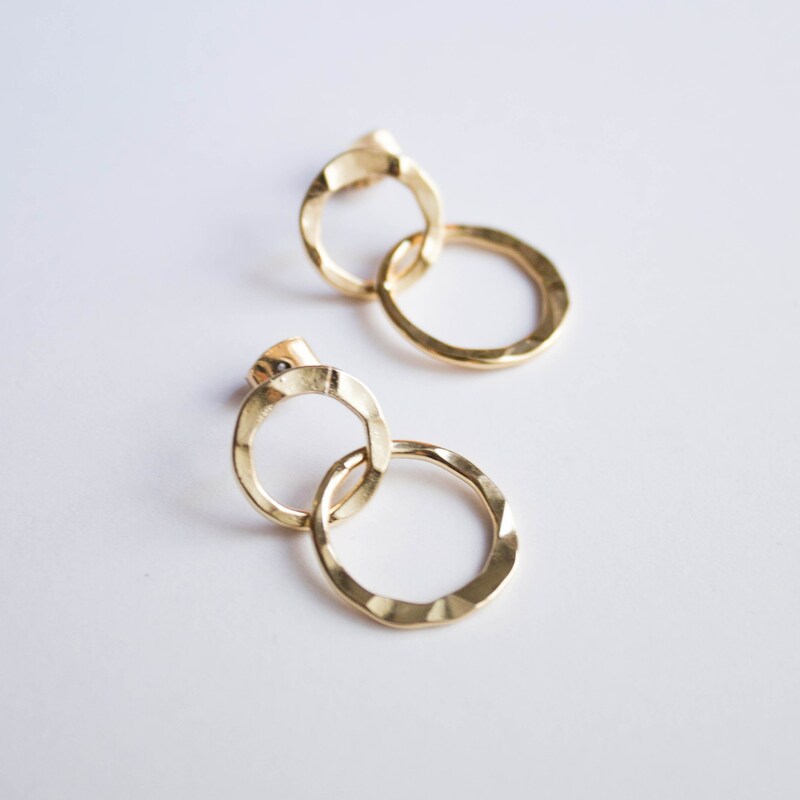 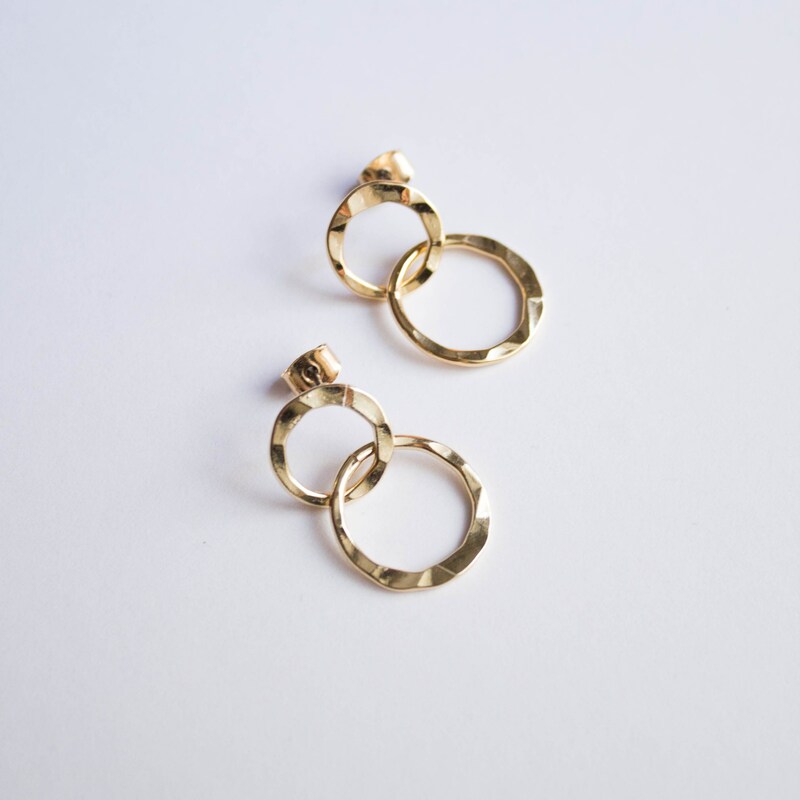 The earrings are made in shiny 16K gold plating over brass.